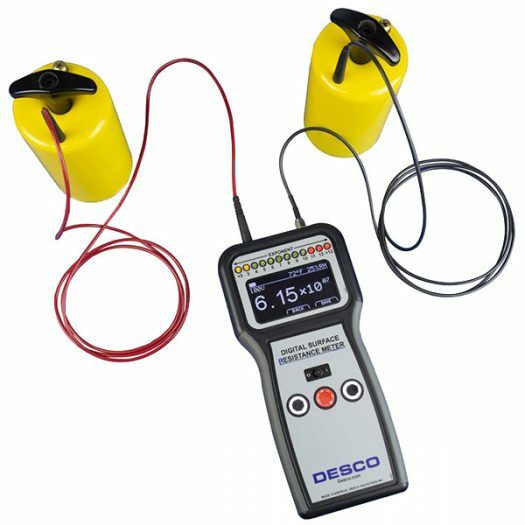 Desco™ ESD Resistance Test Meter Kit | Bennett and Bennett, Inc.
• Includes electrodes and grounds for common tests like ESD S4.1 (Work Surfaces) and S20.20 requirements for garment testing.  For Sale on Elimstat.com, a Bennett & Bennett Company. • Do not clean surface. Remove from the surface only those items that might interfere with the test. • ESD Sensitive devices shall also be removed. 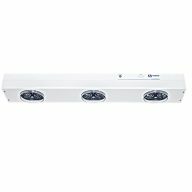 • Use two 5 pound electrodes and place them on the most commonly used area of the surface. 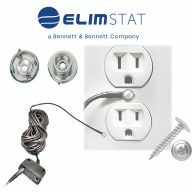 Ensure that the electrodes are about 10″ apart from each other and 2″ away from any edge and 3″ away from any grounded point. 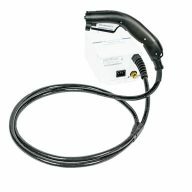 • Clip the black test lead to a grounded point. 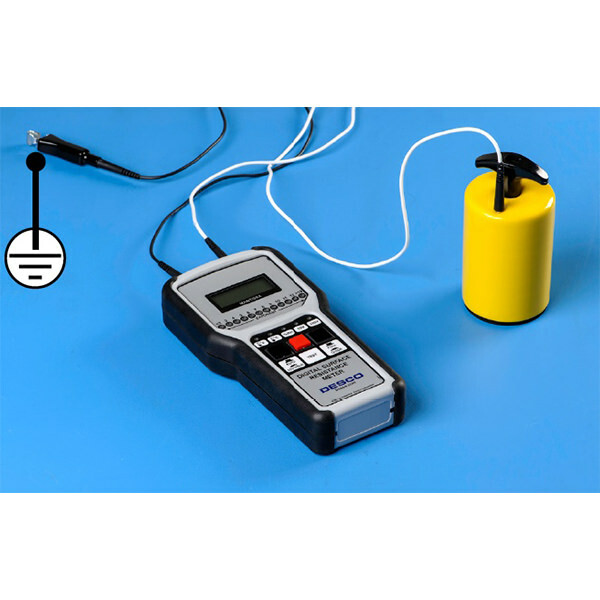 • Use one 5 pound electrode on the other test lead and place the electrode on the furthest convenient point on the surface. • Push and hold the Test Button until the surface resistance mantissa is displayed. 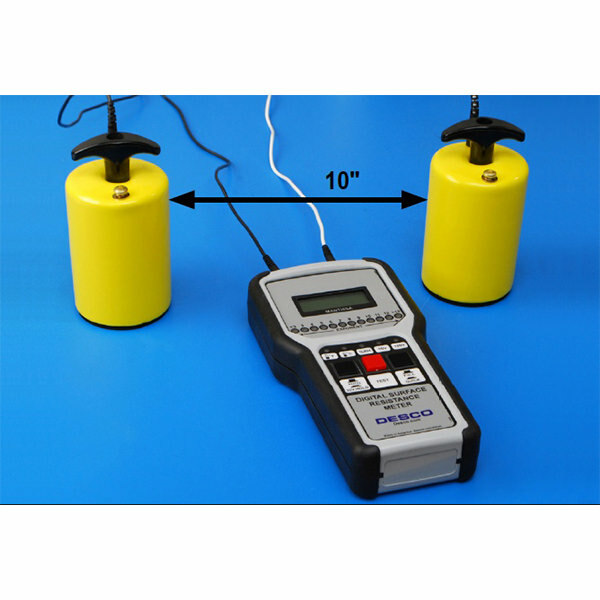 • Perform additional measurements by placing the electrode on the most commonly used or worn area. Set the meter to QUICK test mode to skip the 15 second period if preferred. For a review of ANSI / ESD S20.20-2014 definitions of garments see the slides at right. Versions of ANSI/ESD STM2.1 can also be found in ESD TR53. • Place the garment on an insulative support surface with the inside surfaces laying on the specimen support surface (with the front panels opened and laid out as flat as possible; larger garments such as coveralls may not allow this completely). • Position insulative sleeve inserts into each sleeve (including legs of a coverall) of the garment under test to isolate one side of the fabric from the other. • Attach cables to the two 5 pound electrodes and place one electrode on one of the garment sleeves directly above the insulative sleeve insert. Place the second electrode on another part of the same sleeve. Apply 10 volts and observe the reading after 5 seconds. If the reading is less than 1.0 x 106 ohms, record the value. If the reading is greater than or equal to 1.0 x 106 ohms, apply 100 volts for a minimum of 15 seconds (or until reading stabilizes) and record the results. 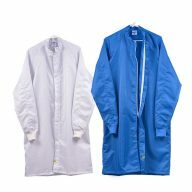 • Repeat the test for the remaining garment panels as well as the second garment sleeve by moving the second electrode. When measuring the garment sleeves ensure that the electrodes are directly above the insulative sleeve inserts. Theoretically, surface resistivity is ten times greater than resistance. For example, a material that measures 108ohms in surface resistance should measure 109 ohms per square in surface resistivity. For testing purposes, per ESD TR20.20 , the correct unit of measurement is surface resistance (just ohms). 1 meg ohm is 1 x 106 ohms. This is the typical cutoff between what is considered “conductive” and “static dissipative”. For both garments and mats we are looking for measurements that relate to 1 x 106 ohms.